MEMPHIS, Tennessee - The Memphis Redbirds announced Friday a pair of personnel moves to bolster the Front Office as the 2017 season approaches. Mike Voutsinas, a 16-year veteran of professional baseball and the New York-Penn League Executive of the Year in 2016, has joined the Redbirds as Senior Director, Corporate Sales and Marketing. Voutsinas spent the past three seasons as the General Manager for the Single-A Auburn Doubledays, where he helped the Doubledays receive the Community and Baseball Service Award. Through his leadership, the Doubledays increased attendance by 23 percent and tripled advertising revenue. "I was fortunate enough to witness first-hand Mike's work ethic and the admiration of his peers in the NY-Penn League, and I am thrilled to welcome him to the Redbirds family," Redbirds Principal Owner Peter Freund said. "I am very excited to join the Memphis Redbirds, an organization with a rich history, outstanding ownership, and a bright future," Voutsinas said. "I cannot wait to start working with the staff as we prepare for Opening Day and the 2017 season." In his role with the Redbirds, Voutsinas will oversee Promotions, Marketing, Corporate Sales, Premium Sales, and Season Membership Sales. He will work closely with Redbirds President and General Manager Craig Unger and will play a key role in the development and execution of the sales and marketing vision of the Redbirds. "I am thrilled to have Mike join our team," Unger said. "The leadership and experience Mike brings to the Redbirds instantly makes us a better organization." Prior to Auburn, Voutsinas spent nearly 13 years with the Triple-A Syracuse Chiefs, serving in roles as Director of Ticket Sales, Director of Marketing and Promotions, and Assistant General Manager. Voutsinas and his wife, Kimberly, have two young children and are looking forward to moving to Memphis and becoming active in the community. In addition, Mark Anderson, who has been a member of the Redbirds Front Office since 2006, has been promoted to Senior Director, Stadium and Baseball Operations. Anderson has played a key role in improving the operation of AutoZone Park, one of the most challenging ballparks in Minor League Baseball to manage on a daily basis, and has streamlined much of the gameday workflow around the stadium. "Mark and his team have done an amazing job of keeping AutoZone Park one of the premier stadiums in the country," Unger said. "He has led us through several construction projects and continues to make AutoZone Park a much more efficient facility." Anderson joined the Redbirds as a Box Office Intern in 2006 and was promoted full-time to Group Sales Coordinator the following season. He then shifted to Box Office Manager in 2008 and moved into stadium operations in 2009. Anderson and his wife, Jennifer, are proud parents of a newborn son, Owen. The 2017 Redbirds take the field for the first time on Thursday, March 30 against the St. Louis Cardinals in a "Battle of the Birds" exhibition game. Multiple season and mini-membership ticket options for the 2017 season are on sale now, and all include the "Battle of the Birds." 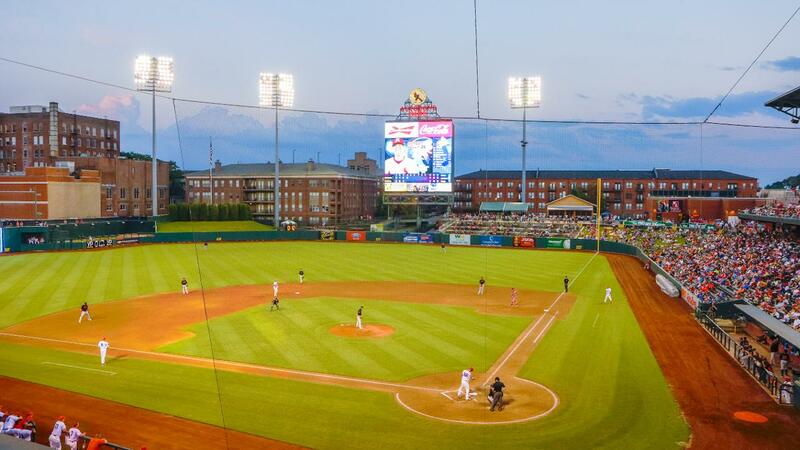 For more information on season memberships and mini-memberships, visit www.memphisredbirds.com. For more information on the "Battle of the Birds," visit www.memphisredbirds.com/battleofthebirds.